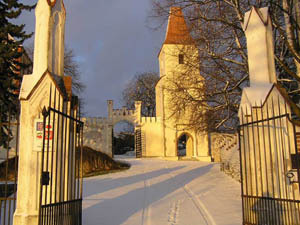 First mention of castle are invited about yaer 1300. Castle is build on very big stone. The castle was originaly in ghotical style. In this time it has romantik face. To castle belong romantic park also. There are collection of motor vehicle, expozic of living.